I use the term "Spring clean" loosely. For me, it's something I do in the week leading up to Ramadan. Starting with a clean slate so more focus is on the spiritual and mental aspects of the month. In Day 1 of my #7daysofslow guide (you can get this here) I talk about decluttering and how it can help clear your mind. I wanted to share some of my favourite tips and Spring cleaning ways in this post. a) Storage issues or forgetting to put things back until you form mole hill styled piles. (This happens to me with books). b) Simply too much stuff. 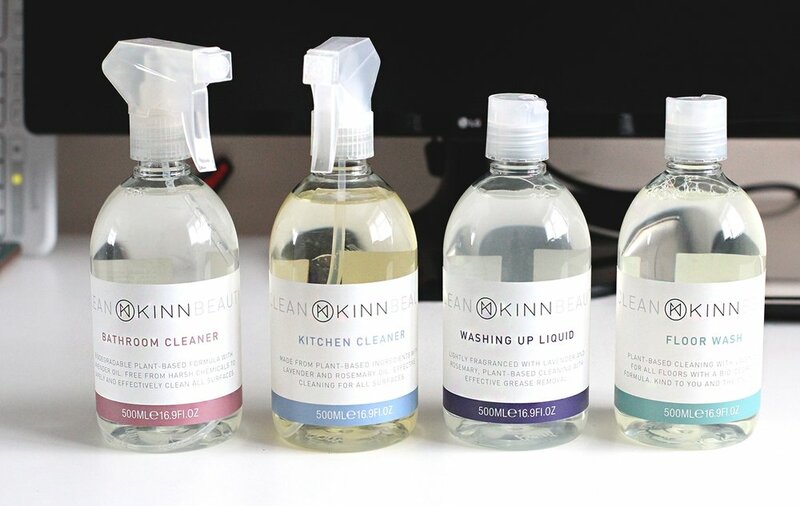 The mammoth task of Spring cleaning (alongside daily chores) has become a little more enjoyable using these plant-based cleaning products from KINN Living*. This collection of four is beautifully scented, organic and non-toxic. I’m quite sensitive when it comes to standard cleaning product smells so having these to use around the house left the scent of lavender and rosemary drifting through the air. The Washing Up Liquid gave off “bath time vibes” even though I was carrying out one of my least favourite house chores. (Side note: vacuuming the house is my favourite). *PR samples // This post contains an affiliate link for the flowers.